By Appointment and at shows around the state. 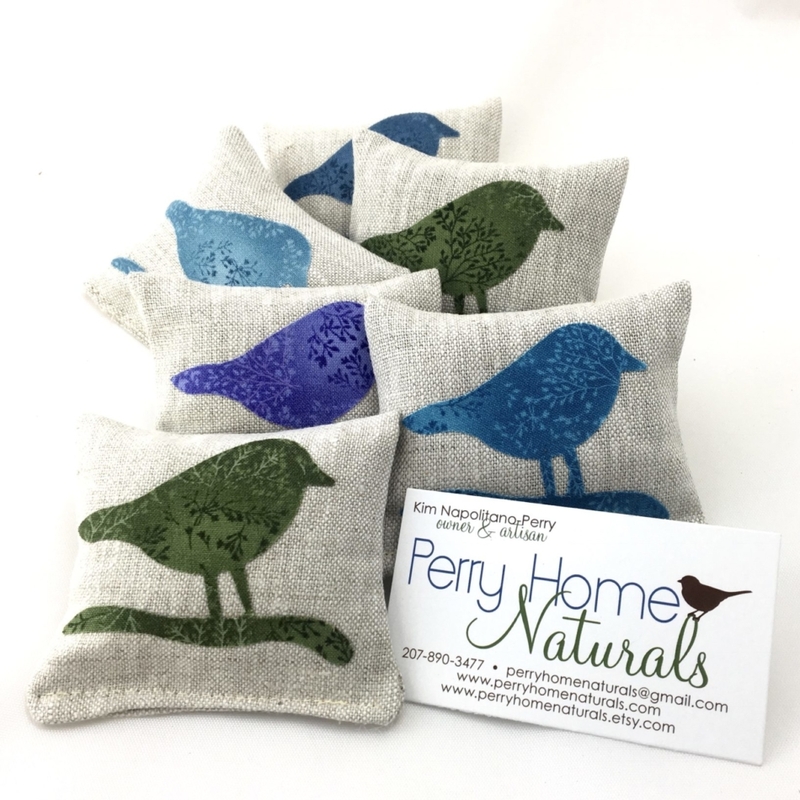 At Perry Home Naturals, we provide handmade, fragrant products and gifts. 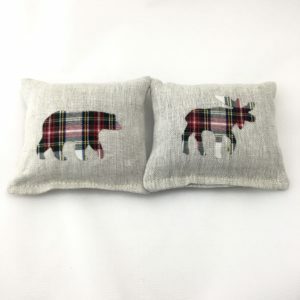 We design, craft, and create Maine balsam fir sachets, organic lavender sachets, herb, and flax seed eye pillows, as well as room & linen sprays. 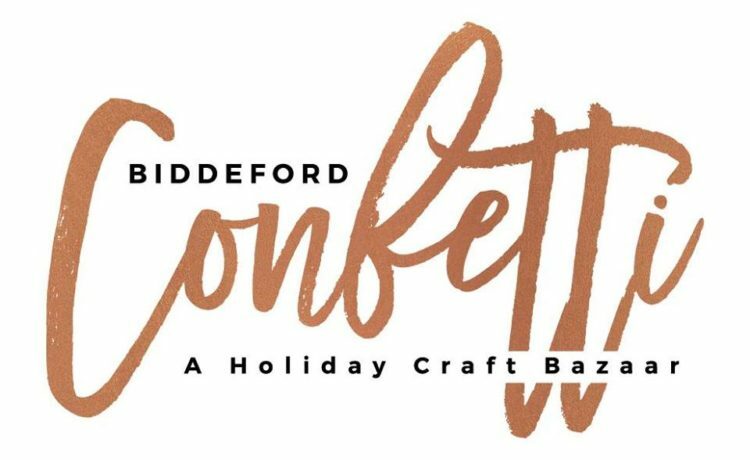 Our company offers fresh, contemporary designs while keeping to the traditional products that mirror the natural surroundings of our beautiful state of Maine, and stellar customer service. 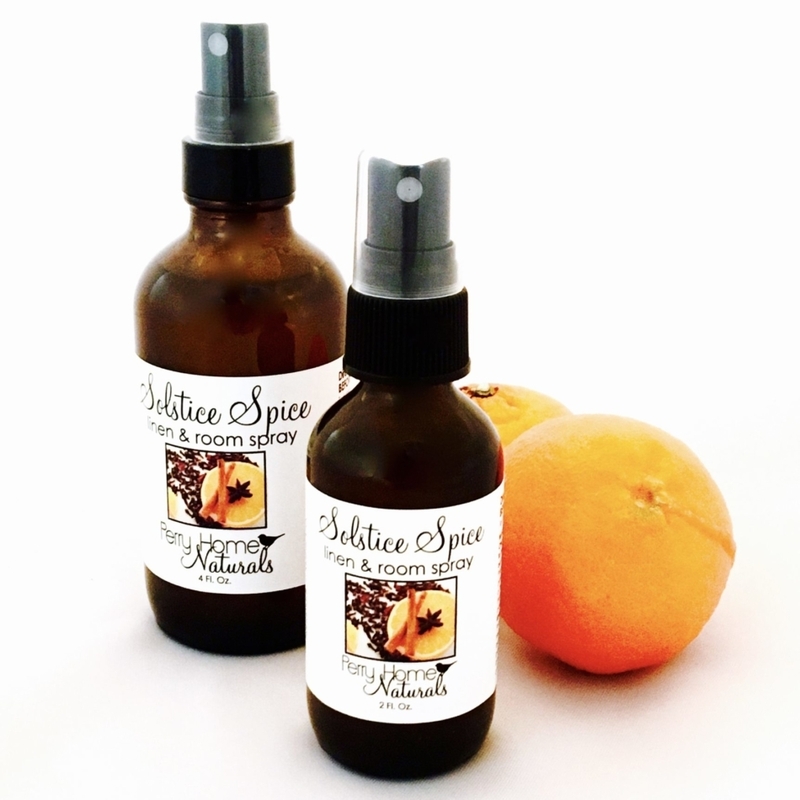 Our products are all made in small batches, in-house, in South Paris, nestled within the gorgeous mountains of Western Maine. 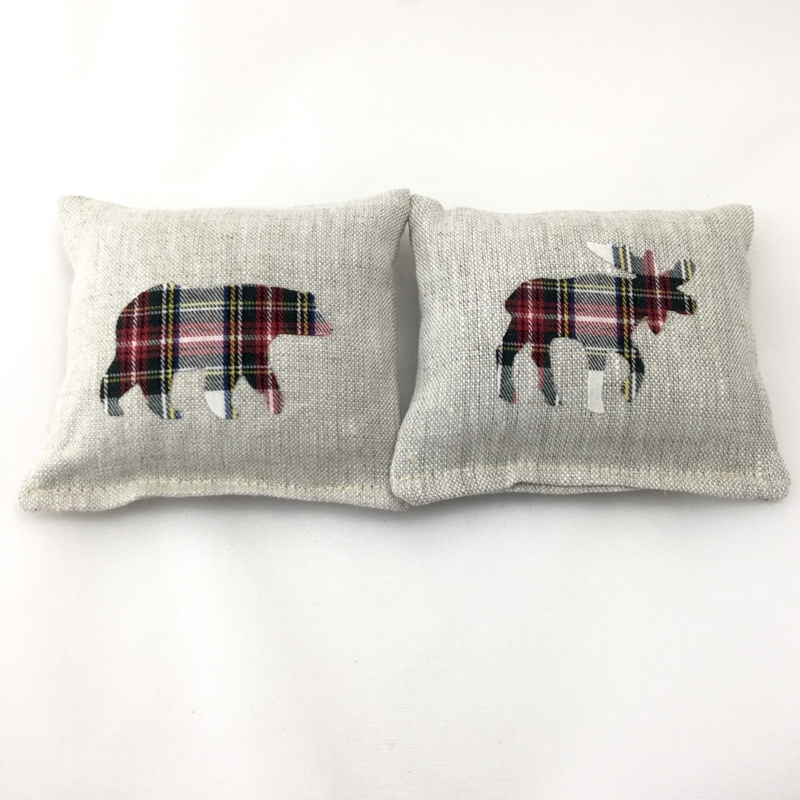 Bear and Moose Maine Balsam Sachets in linen, with Holiday Plaid Appliques. 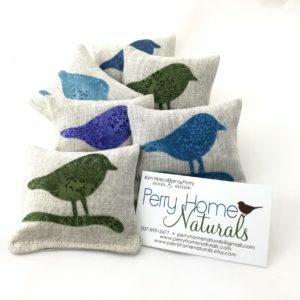 Organic Lavender filled sachets in linen, adorned with colorful, handmade Chickadee appliques. 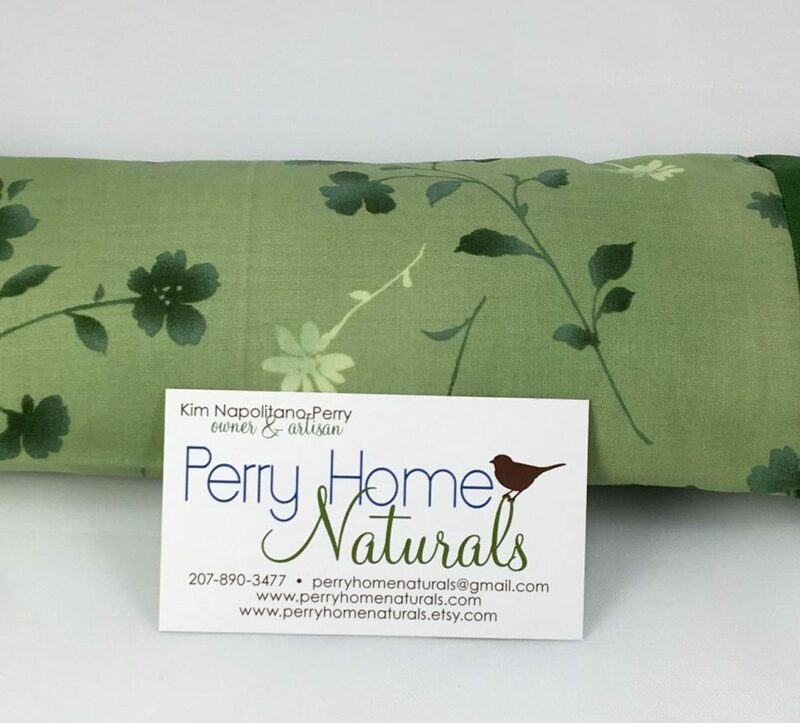 Organic herb and flax eye pillow in an emerald green floral design.